The beginning of the school year is full of excitement and hope. But it can also be overwhelming and stressful! As elementary music teachers there is so much we need to introduce in such a short period of time on that first day with each of our classes. 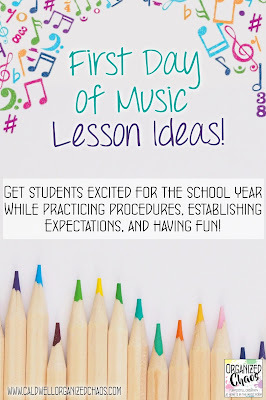 And of course we don't want to bore the students by preaching at them the whole time with rules and procedures and seating arrangements- we want to get them excited about their year in music! 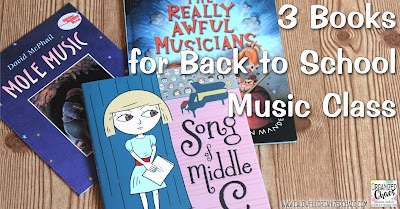 Here are some of my favorite ways to kick off the school year in elementary general music. I always use assigned seating in class. Not only does it help me to learn names, but it allows me to do some proactive "behavior management" by putting students in strategic places, and it gives students the structure that most of them need. One of the first things I do on the first day of music is to give students their assigned seats and asking them to say their name. Note: I do NOT call their names out from an attendance sheet. I ask the homeroom teacher when they bring their class if anyone is absent or if they know of any changes to their roster, and then I put that list away. I tell students I want them to say their name for me so I can hear how they say it. For returning students that I already know, I tell them that they're welcome to let me know if they are hoping to go by a different name than they did before- sometimes as kids get older they get stuck with a nickname they don't want to keep, and this gives them a chance to change it! As each student says their name, I look them in the eye and then say their name back, like, "OK Jayden, I'm going to have you sit right here, OK?". 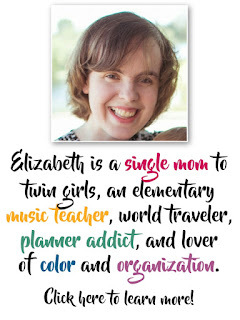 This gives me a chance to practice saying their name, make sure I'm attaching a face to the name, and make a small personal connection with them from the beginning. I do this even for students I know well from previous years- it's amazing how out of practice we become over summer break, and this helps to re-establish my relationships with each student. After everyone knows where their assigned spot is, I like to take students on a tour of the classroom by having them physically follow me around the space. 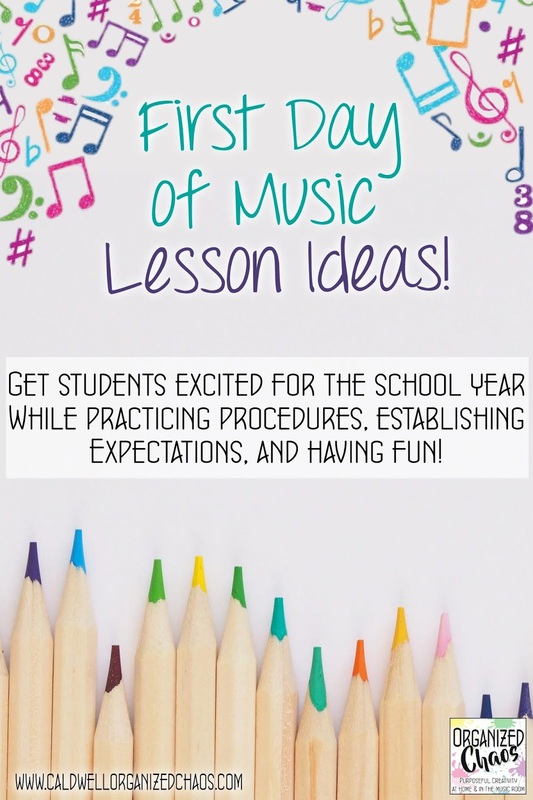 I don't spend a lot of time talking but I like to point out a few things like tissues, trash cans, bathroom exit, etc and give a quick explanation of those procedures, as well as pointing out some of the instruments and other equipment that they'll be using this year. The tour serves 2 purposes: 1) it gives me a chance to go over some of those little details that I want to address while making it a little more fun than just lecturing, and 2) it gets students out of their seats and in mixed-up order, which gives me the opportunity to practice our first procedure: getting to their assigned spots! At the end of the tour I tell students I want to test them to see if they remember where to sit, and then I ask them to quietly walk back to their assigned seats as if it was the beginning of class. This gives students a chance to make sure they remember their seat, and it also gives me a chance to make sure they're not running etc and go over my expectations for entering the room. With procedures, the key is to point out the students who are modeling appropriate behavior rather than lecturing the class on your expectations: "Awesome, I'm glad to see everyone walking safely to their seats" communicates your expectations just as well as, "When you enter the music room, I expect you to walk safely to your seats" but is a lot more positive and much less intimidating. I will usually pick one instrument that's easy to get out and put away, like rhythm sticks or hand drums, and have everyone get one out, have them echo a couple of 4-beat patterns after me, and then practice putting them away. It's quick, and we probably spend more time getting out and putting away instruments properly than actually playing, but they still get an instrument in their hands! I have hand signals that I use to cue students to sit up in their chairs and stand, so I use a quick singing activity to practice those. First I have them echo after me and learn a short, fun song like one of these while sitting up in their chairs, then we sing it all together standing up. For the older ones especially, I like to practice 2 different movement activity formations: circle and scattered. We practice how to get into a circle, then I'll do a quick circle discussion- either something like "tell me something you did this summer" or a silly this or that question like "doughnuts or ice cream"? To get students talking and get them used to the expectations for listening. Then I'll have them practice getting into scattered formation in the open area of the classroom, and I get them moving with a few rounds of freeze dance! That usually gets us to the end of class. 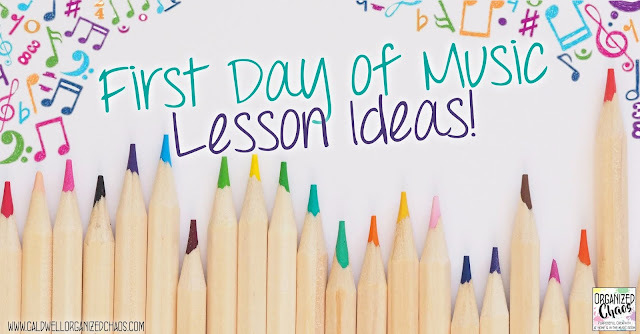 Not once did I stand at the front of the class and talk to them at length about my expectations, but everyone was able to practice and see the expectations in action, and most importantly, everyone has fun making music in lots of different ways! Thank you so much for all your thoughtful advice and wonderful wisdom. I LOVE your blog. I absolutely love your blog. The information you give is priceless. 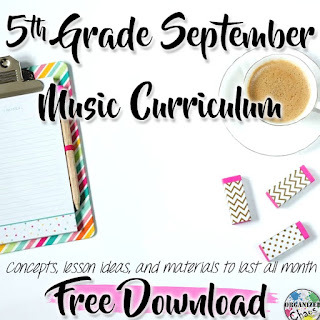 I am an alternate route music teacher and need your help. Thank you for being so clear in your instructions and behavior management ideas. 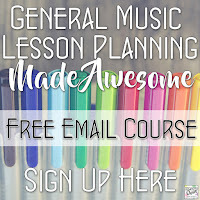 I would love to receive your emails on lesson plans. I signed yp for them but for some reason I am not getting them. Could you please put me on your mailing list? gaines2317@att.net Thank you and God Bless - you have been an answered prayer! Thank you so much for saying that- I'm so happy to hear that I could help in some way :) I'm sorry you weren't getting the emails! I'll forward them to you now, but you may want to check your "other" inbox folder or spam folder to make sure they didn't end up there. Have a wonderful school year!